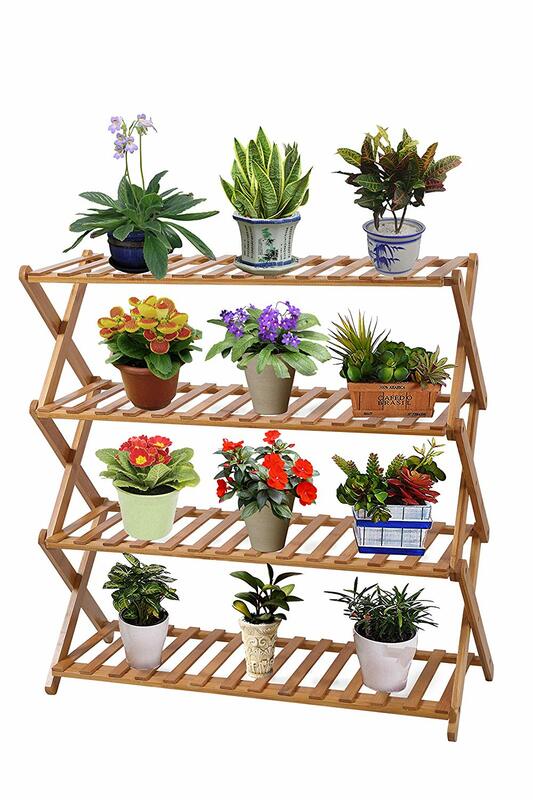 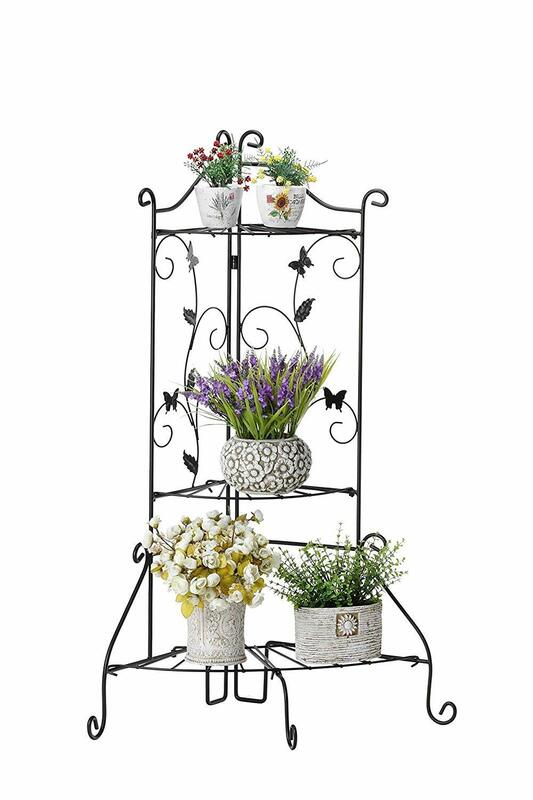 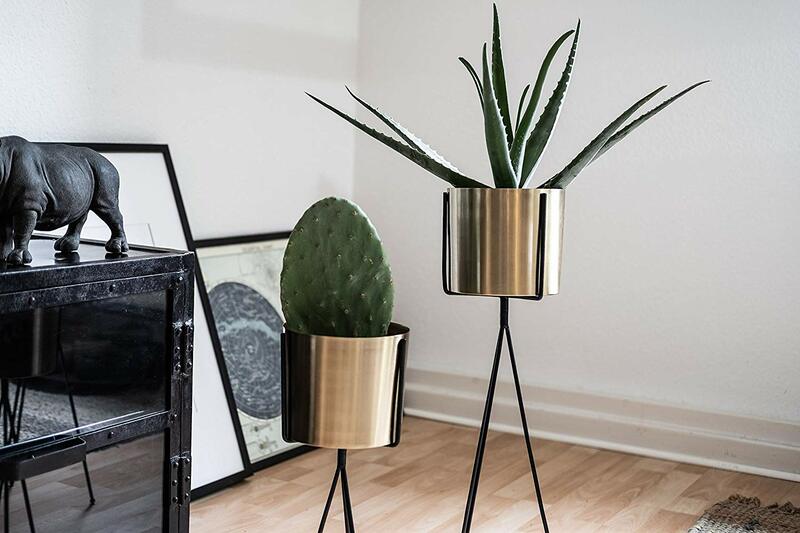 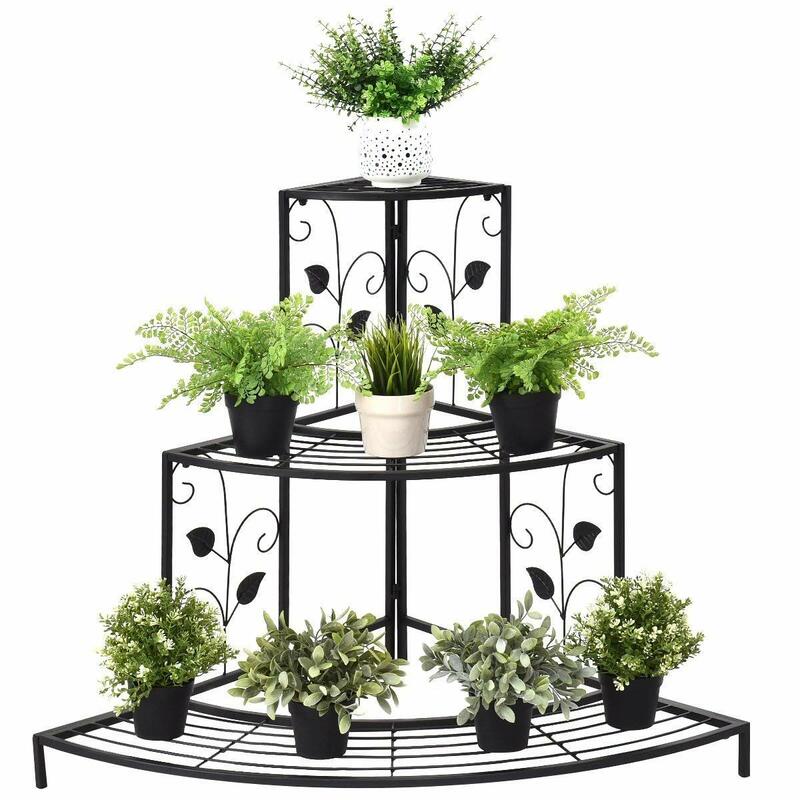 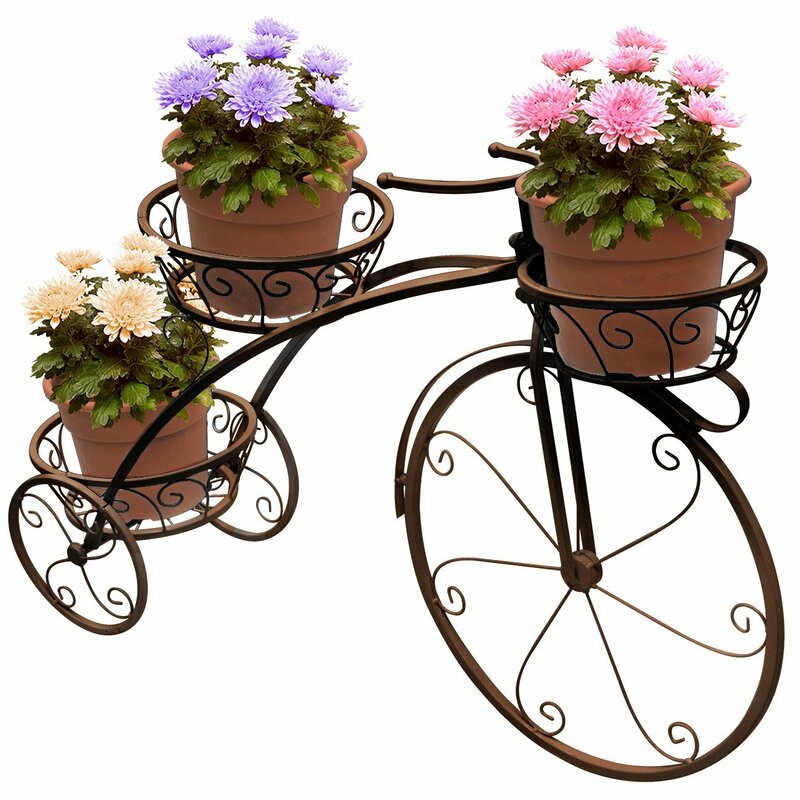 3-TIER SHELF DESIGN is ideal for flower pots displaying, perfect on your patio or yard, or as a part of your interior decor to add organizational and decorative style. 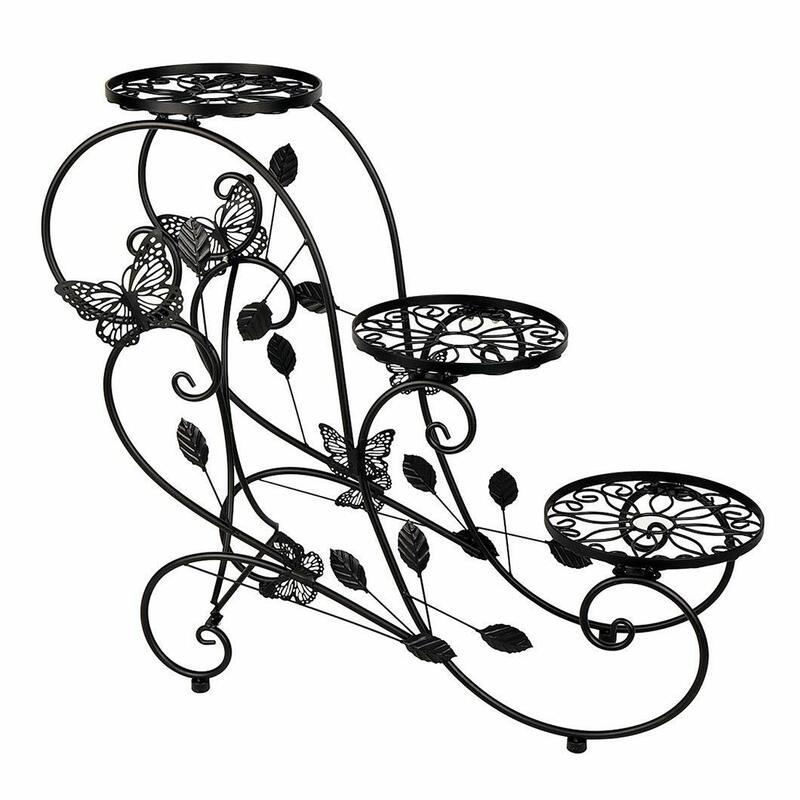 CLASSIC BLACK FINISH and an elegant foliage & butterfly design. 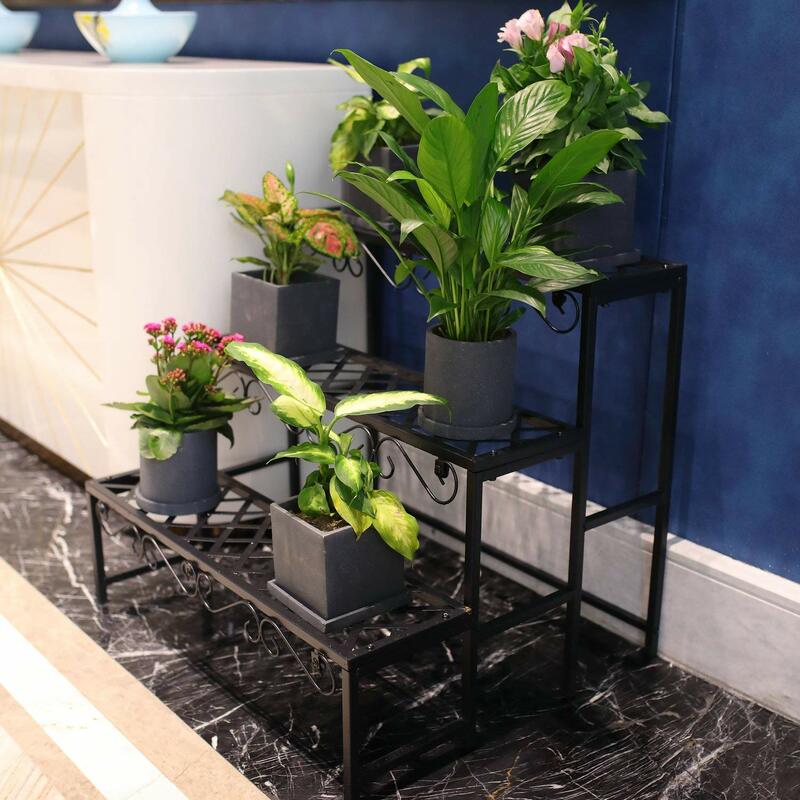 POWDER COATED METAL construction for durability and rust-resistant.